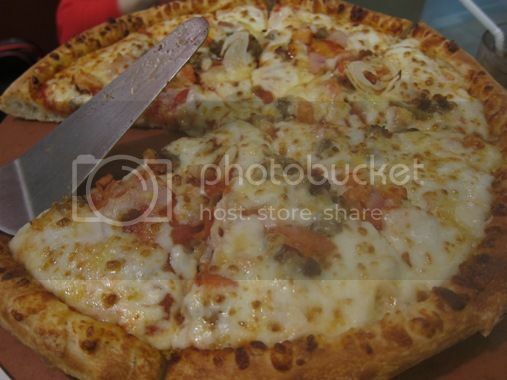 We had dinner at Papa John’s Pizza last Sunday, October 9, 2011. This was only our second time to visit this place. Our first time to eat at Papa John’s Pizza was last January. We had a really pleasant dining experience then, so we decided to eat there again. This time around, we ordered the following: Bacon Cheeseburger Pizza, Pasta Bolognaise, Marinara and Waffle Fries. We loved its soft and chewy dough. They also served pepperoncini and garlic butter sauce on the side to make the pizza more flavorful. This was delicious! This tasted a bit bland, but we ate all of it anyway. 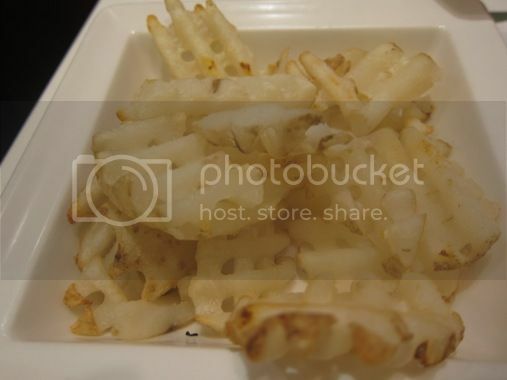 This was a refreshing change from the usual French fries because these potatoes are baked. We ordered this for the little boy, but because he was so full from the Marinara he devoured earlier, he only ate a little of this. 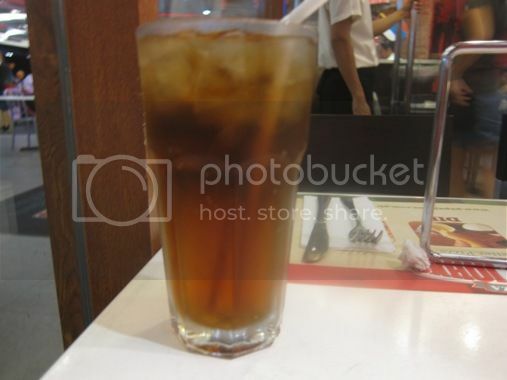 We had two glasses of this cool and refreshing iced tea. Justin’s Dad opted for water instead. We took home what was left of our orders and had them for breakfast the next day. For sure, we’ll visit Papa John’s Pizza again to try other things on their menu. 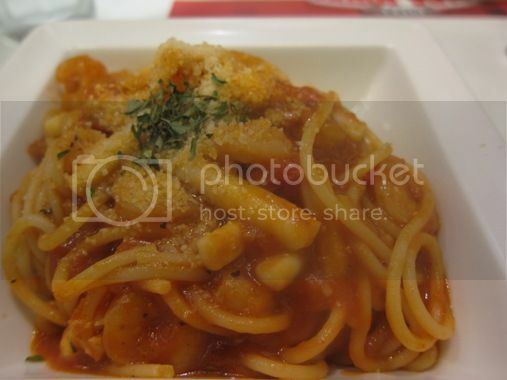 This entry was posted in American Cuisine, Food Trip Friday, Pasta, Pizza, Restaurant Review, Robinsons Galleria. Bookmark the permalink. 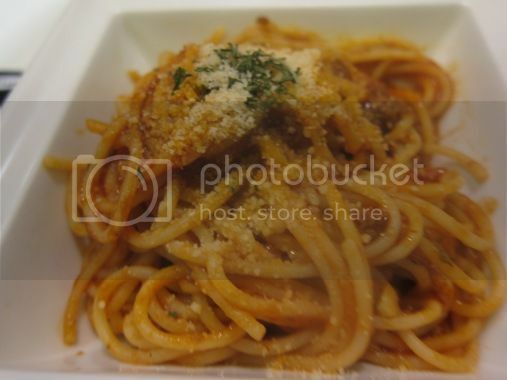 the pasta looks yummy :-); may Papa John pizza na din pala dyan sa atin. i envy ur son for liking other resto other than food chain most kids would want to frequent. my little kid only knew jollibee, hayzzz. my kids also love pizza and pasta 🙂 visiting from FTF! Uh! Oh! the pizza looks so yummy. Again, for me the prices are kinda “mahal” hehe. Visiting from FTF. See yah! WOW! Nakakatakam ang pizza. Nakakamiss! I really gotta try Papa John’s. Been hearing so much about it 🙂 Happy FTF! I wanna try Papa John’s too! I do love Papa John’s food, though I feel their pasta servings aren’t that much. That Bacon Cheeseburger Pizza looks so thick in mozzarella cheese! Yum-yum indeed! i have a GC from Papa John’s and hope i can use it soon. I want to try Bacon Cheeseburger Pizza.. Your son must be very satisfied with what Papa John offers, as he said as the best restaurant ever.. so cute to hear that!